Elderly security cameras have made it a reality for you to watch your elderly parents and grandparents from afar anytime on your phone or computer, which are especially useful if you don’t live with them. Statistics show that about 28% (12.5 million) of non-institutionalized older persons live alone in the US. Approximately 1 in 10 Americans aged 60 or more have experienced some form of elder abuse. You can install elderly security cameras to check on parents/grandparents with Alzheimer’s or mobility issues. A two-way audio camera monitoring system for elderly allows you to listen and talk to your loved ones. The nanny cameras for elderly parents or grandparents can be used for watching caregivers or monitoring nursing homes to ensure they are away from elderly abuse. If you are a retiree and live alone, a simple monitoring system for elderly in the home will secure your home and provide you with around-the-clock piece of mind. Now, lets’ dive into the video surveillance for elderly monitoring and safety, and learn how to choose the best security cameras for elderly. Before installing a video monitoring system for elderly in the home or in assisted living facilities, you may concern whether you have the right to do so. Well, the legality of video monitor for elderly varies with different circumstances. Some seniors regard room monitor for elderly as an intrusion of right while others appreciate the idea of video surveillance for elderly monitoring and safety. It is wise of you to consult with them first on installing security cameras for elderly apartment. Never act on your own without obtaining the consent of your parents or grandparents. Even the seniors agree on the elderly monitoring systems, you cannot place the nanny camera for elderly parents in places where your family members, guests and caregivers have expectation of privacy, such as the bedrooms, bathrooms, toilets, etc. Besides, you must make sure your elderly monitoring cameras and systems are secure, in avoidance of leaking any private information (click here to lean how). The legality of nanny cam systems for elderly parents in nursing homes varies from state to state. In Oklahoma, New Mexico and Texas, you can legally put a granny cam system in your senior’s nursing-home room. And several other states have been considering following suit. In addition, a notice of a granny cam system in use must be placed outside the room and the nanny camera for elderly parents should be in plain sight. If your senior has a roommate, the roommate must grant permission to the elderly video monitoring systems. Just start to research elderly security camera options and don’t know where to start? When you select a camera monitoring system for elderly, consider the following questions first to locate the right elderly monitoring systems. Firstly, you need to figure out why you want an in home monitoring system for seniors and where you intend to place the elderly security cameras. For example, if you simply need a video monitoring system for elderly in the home that can allow you to check up on the seniors when you are not there, easy remote viewing and high-quality video quality would be the essential features. And the two-way audio can be a huge highlight for the elderly monitoring systems if you want to talk to your beloved elderly parents or grandparents, like inquiring about their health conditions. Or if you are a retired senior citizen living alone and want a senior monitoring system to protect your home against burglaries, easy installation, smart motion detection and high resolution are the can’t-miss features for you. The best cameras for elder care should be as simple as possible, so that your parents/grandparents (or yourself) can install them independently without the need to hire professionals. Ongoing maintenance of in home monitoring systems for seniors will be another factor you should consider. The truth is that, those reliable elderly monitoring cameras and systems require little maintenance. And even in the unfortunate case that your security camera for elderly goes wrong, you may contact the camera seller and usually the reputable brands, like Reolink, would get back to you responsively within 24 hours. The answer depends on how you expect your elderly security cameras to “work”. 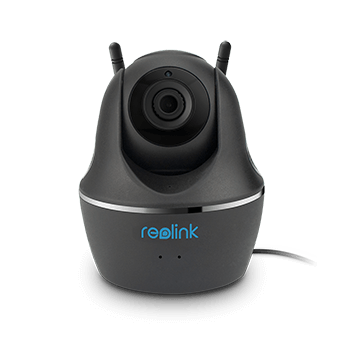 Elderly monitoring cameras with memory card (slot), like Reolink C1 Pro, can still record motion events onboard if your parents’ home (or your home) has no network. And the elderly motoring systems, which work their proprietary network for video transmission, are also able to record continuously even without Internet. So if you simply need the video surveillance footage for elderly monitoring and safety, the elderly monitoring cameras and systems will work to your satisfaction without network. However, the Internet connection for traditional senior monitoring systems is a must if you want to check on your elderly parents/grandparents in real time, or be alerted when the front, back or garage door opens. Luckily, the 4G/3G cellular elderly monitoring cameras, like Reolink Go, have offered you an independent security solution if your elderly parents’ home or the senior living facility has no WiFi connection. In virtue of the cellular-based monitoring systems for elderly in the home, you can keep informed of what’s happening to your loved seniors via smartphones anytime & anywhere. Add-on charges and a long-term contract of elderly monitoring cameras and systems make it difficult for you to predict costs. Instead of being lured by the cheap price of certain elderly security cameras with hidden fees ahead, choose the reliable elderly monitoring system brands, like Reolink,which will offer you a clear price of video monitor for elderly with no contracts or monthly fees. Editor’s Note: Explore more options of granny cam systems with no contract and monthly fees here. Confronted with so many elderly security cameras available, you may wonder which the best camera for elderly care is. Below are the recommendations of some best in home monitoring systems for seniors. 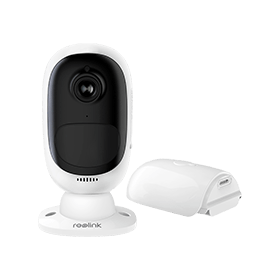 If you want the best in home security cameras for elderly, Reolink is certainly your top choice. The products Reolink Argus® 2 and C1 Pro are both great options as elderly monitoring cameras for you. 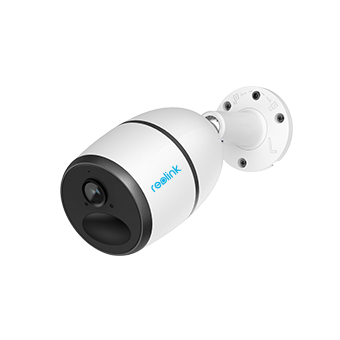 Reolink Argus® 2 rechargeable battery security camera is a totally wire-free in home camera for senior citizens, which can be moved from room to room based on your needs. It can also serve as a best camera for elder care in the nursing home/facilities with its sleek design and versatility. In virtue of the PIR motion sensor, this elderly monitoring camera features smart elderly monitoring, which enables you to receive real-time alerts in case of any emergencies. Thanks to its function of two-way talk, it is also an ideal security camera for elderly companion. You are free to speak and listen to your elderly parents or grandparents anytime and anywhere, expressing your deep concern. No need to worry that your seniors may have difficulty in installation or using! 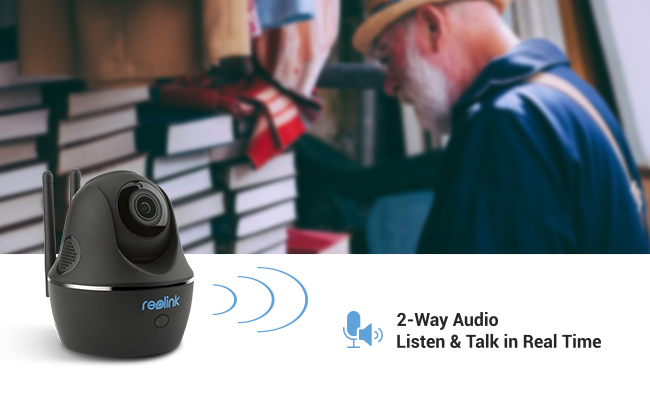 If you want a plugged-in version of elderly security cameras, Reolink C1 Pro is a perfect option as a monitoring camera for elderly in the home with its rich features and easy installation. Its sleek design, PT function and 1440p high definition also make it a best video monitoring system for elderly in the home and a hidden nanny camera for nursing homes. You can easily log into the free Reolink App/Client on your smartphone or computer to keep tabs on your parents/grandparents or caregivers. It is also a simple security camera for elderly who are not a tech savvy. The setup can be completed in just several minutes – an optimal option as a elderly monitoring camera for technically challenged parents. If you prefer an elderly monitoring system to keep tabs on multiple areas, Reolink can also provide a variety of choices to you. 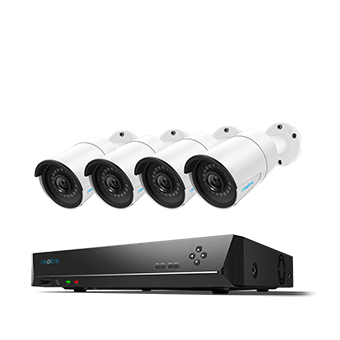 Reolink RLK8-410B4 is one of easy-to-use in home monitoring systems for seniors with four 1440p high definition PoE IP cameras. You can place the nanny cams for elderly parents in different rooms based on your needs. For example, the home monitoring system for seniors can be installed on the kitchen to see whether your elderly parents or grandparents are eating or taking medication on time. This remote elderly monitoring system also helps you stay visual contact with the seniors while you are living miles away. You can watch live videos from afar anytime on your phone or computer to see if there are any concerns. In case you are an aged person and want to secure your home against break-ins or thefts, you may place these simple elderly security cameras in those critical entrances, like your front door, back door, garage, etc. If you want a wireless elderly monitoring system, you may set it up with all types of Reolink wireless IP cameras and the Reolink NVR. Installation of this DIY project is a cinch even for the seniors. Just power on and it can start to work. The DIY wireless home monitoring system for elderly also supports 24/7 continuous recording. If you miss any live videos on your phone or computer, you can replay the footage on different days or hours. If necessary, the video surveillance for elderly monitoring and safety can serve as evidence to prosecute those potential thieves or abusive caregivers. Maybe this is one of main purposes for you to install a monitoring system for elderly in the home, that is, for remote surveillance. And it can be quite easy for you to monitor your elderly parents via the elderly monitoring systems. Normally when you buy a senior monitoring system, you’ll be offered with free security camera software (like Reolink App and Client) to access the camera remotely on your smartphones or computers. As is said above, many of those who have installed in home monitoring systems for seniors regard the elderly security system as a Godsend. 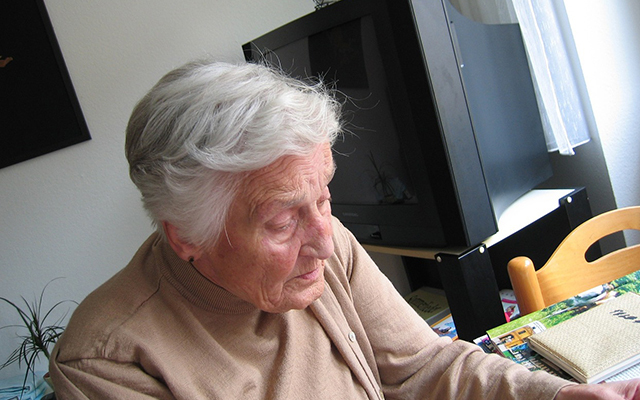 Want more information on elderly monitoring system reviews to find a useful one? Here is a look at the reviews of a monitoring system for seniors, Reolink RLK8-410B4 recommended above for your information. Before purchasing granny cam systems, it is also important to figure out what kind of elderly monitoring cameras or systems suits you best. The indoor elderly security cameras are generally great for general surveillance in kitchens, bedrooms and hallways. While the weatherproof elderly monitoring cameras are ideal for monitoring front and back doors to see who’s coming by and to ensure your elderly parent isn’t wandering off. If you want to have a record of all activities inside and outside the home in case you need to review it later, or one camera alone fail to meet your needs, an elderly monitoring system is absolutely a good choice. Note: If budge is your main concern, you can grasp some practical tips on how to save money when buying a monitoring system for elderly in the home. For those who are still hesitating about choosing the best home monitoring cameras and systems for seniors, hopefully you can find a suitable one from the recommendations above. And please feel free to comment below if you need any assistance!